There are so many talented people out there that make fabulous quilts and I have quilt envy. I’ve never made a quilt before but quite fancy having a go. I have no formal training in quilt making, and apart from a rather fabulous Bernina, I really couldn’t claim to know what I am doing. Taking up a new skill is always appealing, but I have more than enough on my plate and with each new skill comes a shopping list as long as your arm (it doesn’t have to but any excuse for a bit of shopping). I feel like such a fraud, what a complete and utter cheat! But you know what, I am really pleased with how the quilt is coming along! OK, I absolutely LOVE that idea. 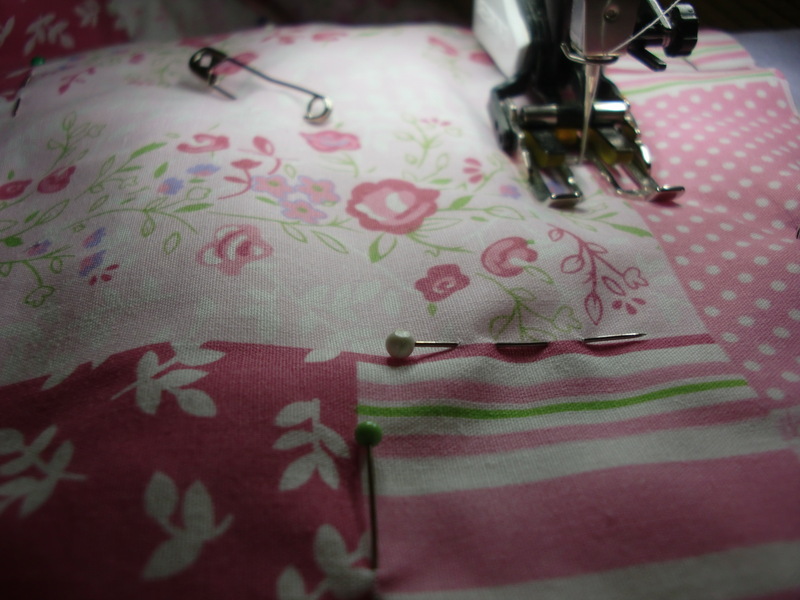 I have never quilted but I think that is a superb little way in to he craft. have fun!